As networkable solution with more advanced features, the QLX-D™ Digital Wireless System presents an easily scalable option for wireless presentation and Q&A needs. Ethernet connectivity allows for easy integration and facilitates system management for IT / AV staff, while rechargeable batteries offer long-term cost savings. 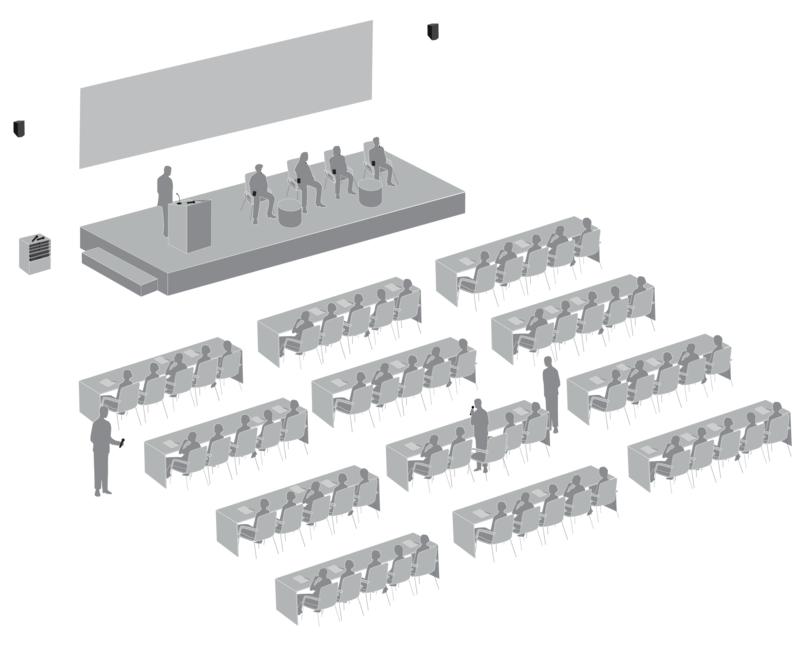 The elegant Microflex® Installed Microphone series is ideal for podiums or panel discussions at more demanding events. They deliver professional, high quality sound and further offer wireless alternatives for enhanced flexibility.